The award-winning sports car, Toyota 86, is now on sale in Australia with both mechanical changes and a better handling experience. According to the press release by Toyota, the latest evolution is said to be best selling sports car in Australia because of its greater responsiveness and more communicative handling, that includes interior and exterior improvements. In order to achieve sharper handling and a smoother ride, the car’s global chief engineer, Tetsuya Tada revised the way suspension components are connected to the chassis. He also reduced body roll and the handling stability was increased. The suspension mounts are now more rigid, and the dampers use lower-friction oil, oil seals and guide bushings to deliver these benefits, while the tires remain efficiency-focused with low rolling resistance items. The 86 GT has a digital speed read-out and a rev indicator light to warn of the approaching red line. For the GTS, Toyota has added a reversing camera and a sportier carbon-look motif for the instrument panel surround. 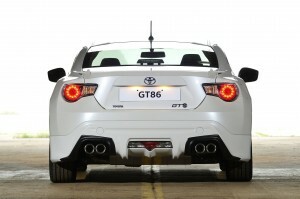 “[The Toyota 86] is all about driver involvement, and we are committed to keep enhancing this aspect of the car. The 2015 model year delivers the latest status of 86’s continuous evolution,” Tetsuya Tada said. Tony Cramb, Toyota Australia’s executive director of sales and marketing, said the latest update reflects the commitment of the company’s engineers to continual improvement of an already brilliant driver’s car. “Toyota 86 is an affordable sports car that is all about driver involvement, and its chief engineer is passionate about constantly evolving and enhancing this aspect of its appeal,” Mr Cramb said.